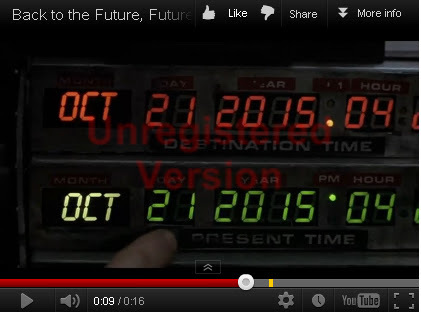 2015 is just around the corner and according to Back to the Future 2, hoverboards and flying cars should be all over the place. I guess there is still another year to get them invented, tested and marketed. But I don't have a lot of hope. Bob Leong's passing at the end of August seems to have affected a lot of people within the moto-blogging community and I must admit that I'm one of those really affected. Many of our conversations over the years have revolved around retirement. Things that we wanted to do, places to go and motorcycle trips that needed to be taken. I must admit that thoughts of retirement have floated around in my head for the last year or so. Last month, I just passed 30 years at the university. THIRTY YEARS. That not only sounds like a long time to be at the same place but it really is a long time. Thirty years ago, the concept of a career was nowhere to be found in my thinking but got a job at the University of Alaska Fairbanks business office to develop a telephone billing system. I was grateful for the job since I was looking at being unemployed shortly and working for the universty was way better than being unemployed. So I took it with though there were a few obstacles such as it had to be done on a computer made by a company that I had never even heard of (Wang) in a language I had only heard horror stories of (Cobol) but never seen. And on top of that, the only programs I had ever written to date were scientific data analysis, image processing and developing hardware interfaces in either Fortan II, PDP11 macro assembler and PDP8 assembler. And even those were done after the programmer quit. Zero experience in financial software, databases, user interfaces, or even structured programming. Richard, you may just be right. The right thing is never stupid Richard. I'll need to keep reminding myself of that! I agree with VStar Lady! Bob Skoot was a frequent poster on my retirement posts. He professed he wanted to retire, but didn't feel he could afford to. I have an eerie feeling Bob knew more than he shared with the blog world. If there is any comfort to Bob's passing it would be that he had a couple of weeks of enjoyment with his bride on vacation prior to his passing. Life really is to short and none of us know when our time is up. I had talked to him numerous times about retiring but he seemed to be afraid of the uncertainty it brought. Your successful retirement was very encouraging. Life really is an unknown let alone too short. What's in anyones future is, at best, a guess. You won't hear me talking "retirement" unless it's time to go to bed. From where I sit, you've enjoyed a wonderful and full life so far. Seems you have been "seizing the day" quite well without trying to. I consider myself extremely fortunate in that I fell into a retirement system with an actual pension. It was discontinued a few years after I was hired as being too expensive. For years (over 20), I never knew the significance of being in tier 1 as retirement was the last thing on my mind. A good post Richard. I am glad you are retiring next year. Although I've heard from friends they are busier after retirement. Richard, looking back at all the traveling you did (even those you did professionally) you might have seen more than your average peers. And I am looking forward to more of your adventures to come. I don't think one has to retire, really, I rather like to think that I might go on working on my own terms as long as my mind and body will tolerate. Actually that's sort of the plan. I'm hoping to be able to continue with the work in Barrow. I really enjoy working with the research groups in Barrow and I thinking of continuing that part of the job. Though, if I don't have a commute, is there still a justification for a Ural? I think when we lose someone dear to us, particularly as we age, it causes us to look at our present situation and whether we feel fulfilled with what we have done up to that particular point in our lives. I think a lot of people are afraid of retirement, particularly with possible loss of financial freedom, not many of us will be retiring in the broader sense of what most think retirement is. I also think that Bob was a fellow who liked the social aspects of work and the challenges it presented and possibly feeling useful. To some retirement means its the end of a productive time in their lives, to others its a new chapter to start new adventures. I think in some minds it also reminds them that time is coming to a close so to speak. I guess it will be what we make of it individually. I don't think I've really figured out which category I'm in yet. Hopefully in the "start new adventure" rather than the "no longer a productive member of society" side. I consider myself fortunate to possibly get to retire someday in the more traditional sense. I look at the current programs and can only warn those just starting their careers to plan ahead. Don't just plod along like I did thinking that everything's going to be just fine whenever that day arrives. Tempus Fugit! Casa Chang and Colorado roads await you and your lovely bride.....our rigs will look quite striking, posed next to each other....sort of a rolling fourth of july. All this Latin that seems to be flying around the Internet these days. Maybe there really was a reason for being forced to take it got three years in high school.